Cpl. 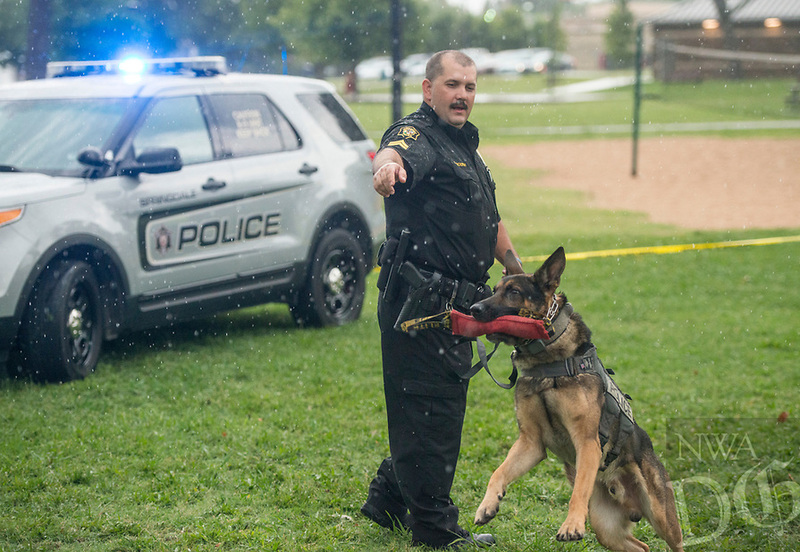 Ashley Booth and K9 partner Oliver give a presentation Tuesday, Aug. 7, 2018, during the Springdale Police Department's National Night Out event at Murphy Park. The annual campaign aims to build police-community relationships and promote safer neighborhoods with games and activities for children and ways for families to interact with police in a casual setting.